One of WA’s oldest craft breweries is rising from the ashes to serve its loyal band of customers. 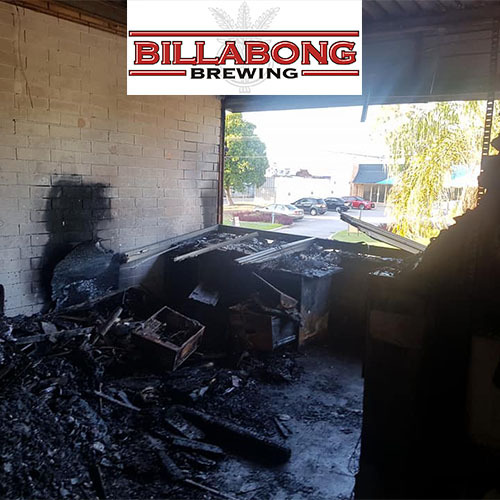 A fire ripped through Billabong Brewery just over two weeks ago, putting the Myaree beer-maker off line. While the blaze was predominantly contained to the office, library and lounge bar area there was some water damage to the brewhouse and the production area lost access to power and gas. However, the Billabong Brewery crew have worked overtime on the clean-up and last Friday the famous upstairs bar was again serving a great range of beers to visitors. 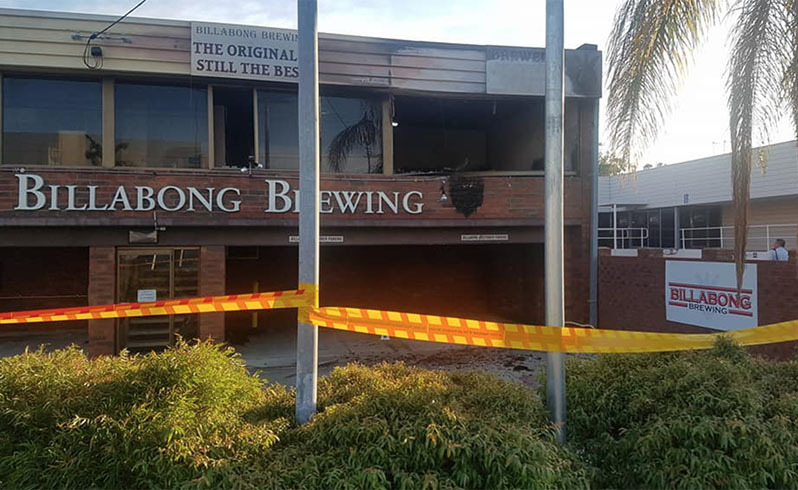 Billabong owner Alan Proctor, who started the business in 1993, said temporary power was established to the brewhouse a couple of days after the fire and was confident gas would be reconnected in the next 48 hours for the boilers to again power the brewery’s major kettles. “Despite the bad luck with the fire we have had a great amount of support that has helped us get back on our feet,” Proctor said. “And we were determined to get back up and running as soon as possible because we really want to look after our customers. We don’t have a business without them. Several regular Ginger Beer brewers returned to Billabong on Thursday to bottle their beers. There is still some minor cleaning to do in the brewhouse and the office area will be out of action for some time. But Proctor said the situation could have been a lot worse if the local firefighters hadn’t worked so diligently to contain the blaze. “We have to thank the people who noticed the flames on the Friday night and for the fire teams who got the situation under control so quickly,” Proctor said. “We are also very appreciative of the efforts of NJP Electrical and Generators Australia, NPower Gas who had the coolrooms hooked up to power the day after so we could keep customer’s beers, and our commercial brews, safe and sound. Proctor said any outlets wanting to place orders for Billabong beer can do so with the confidence the team will be able to meet the supply. And the bar can continue to serve beers, although access was now through the side of the brewhouse. He also praised the efforts of his staff Rob Murphy, Kym Ash, Dan Turley and Rahne Maxwell for working overtime to help get the brewhouse back in order. For more information please call Alan Proctor on 93176099 or 0408905091. Be the first to hear about WABA news, events and special offers.